The beloved Evernote cloud-based note-taking service has moved to expand its empire by buying-up the Penultimate handwriting recognition app. 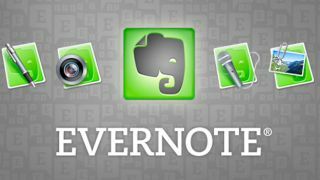 Evernote, which allows users to save notes and articles and access them on a multitude of devices, has promised to tightly integrate the two services. The Penultimate app, renowned for its simplicity, will remain in existence and actually migrate to platforms beyond the iPad as part of the deal. Evernote has also vowed not to mess with the popular service. Evernote CEO Phil Libin said: "I've been in love with Penultimate since it first came out. The magic of the app is its simplicity, and we're going to keep it as is: really simple, really pure." Ben Zotto, who created Penultimate and will now join the Evernote staff to oversee the integration, added: "(The partnership) makes a lot of sense. Penultimate is only going to get better from here." A price was not disclosed, but Evernote certainly isn't short of cash as it continues to spend ahead of an expected IPO later this year.